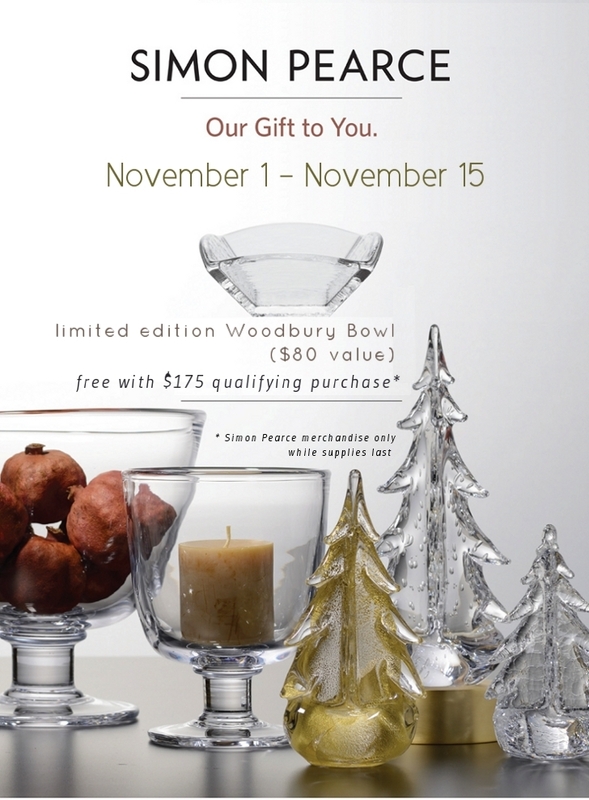 Purchase $175 worth of Simon Pearce during the first two weeks of November and receive a free, limited edition, Simon Pearce Woodbury bowl. This entry was posted on Thursday, October 30th, 2014 at 2:45 pm	and is filed under Official Updates. You can follow any responses to this entry through the RSS 2.0 feed. You can leave a response, or trackback from your own site.